One of North Norfolk’s favourite band of rockers, the Spice Gits, will top a top evening at Aylsham Town Hall on July 14. The Aylsham Party is in aid of Hospice Ethiopia, the charity that not only looks after hundreds of desperate people but also trains medics and is a centre of excellence for palliative care in Africa. The party includes classical music from the North Norfolk Ensemble and a buffet meal using locally sourced produce. Sue Mumford is chair of Hospice Ethiopia UK, the Norfolk-based charity. 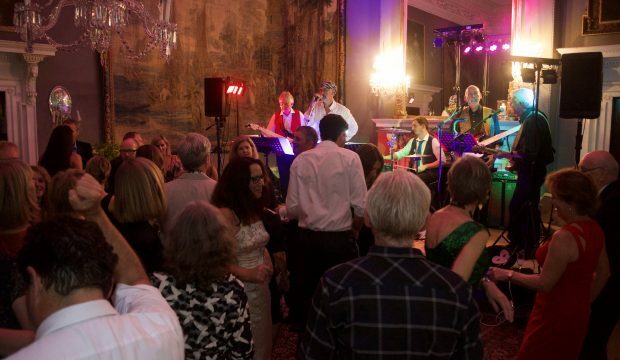 “It will be a super night, with a fabulous buffet meal, a bar, and lots of entertainment, including a great Norfolk band, the Spice Gits, who are sure to get everyone up on the dance floor,” she says. Tickets for the Aylsham Party are just £20. For information contact Clare Glenn on 01263 734853, email info@hospiceethiopia.org.uk or visit www.hospiceethiopia.org.uk. Tickets are also available from Barnwells in Aylsham Market Square.